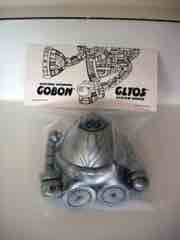 Onell Design Glyos Gobon Action Figure Onell Design, ??? The concept of "vinyl figures" leads to an interesting complaint, which is generally speaking, these things aren't toys. 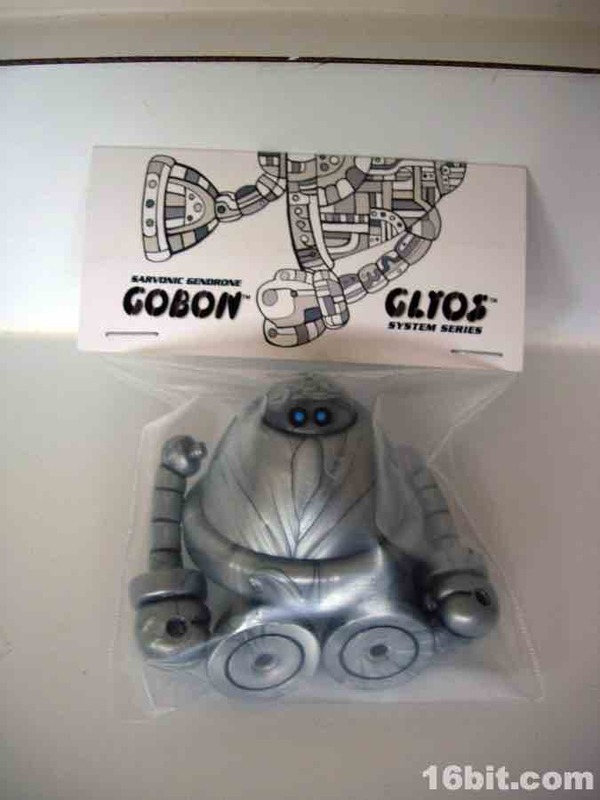 A big weird thing you look at that costs $76 isn't really a toy, but the people at Onell Design put together figures like Gobon here to be played with. 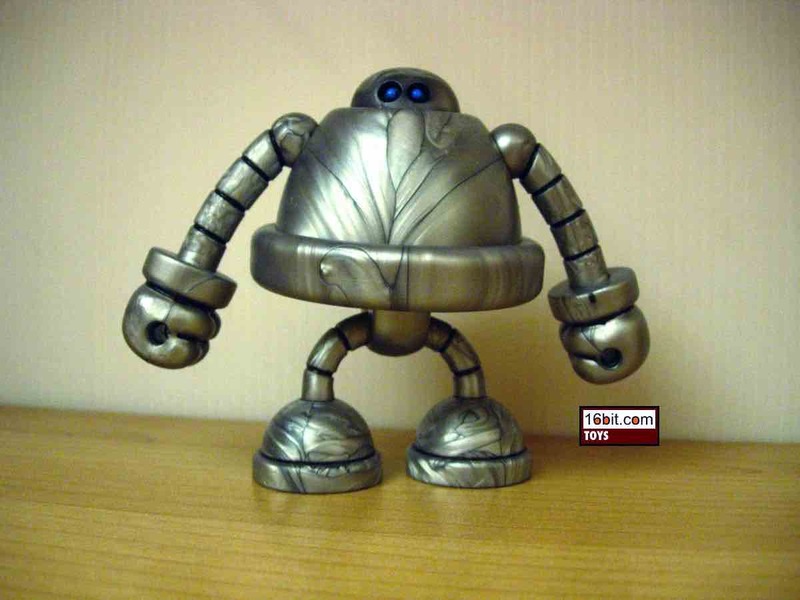 This 3-inch silver robot is surprisingly well-made, outperforming other mass-produced figures in terms of being fat, spindly, and not one to fall over. I mean, look at the guy-- physics tells us there's no way those little legs can support him on a shelf for a month straight, but we tested it, and they do. 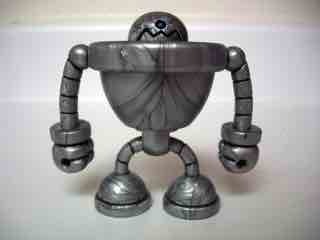 Score one for indie toy making. There's not too much going on with this figure, which I'd say serves it well. 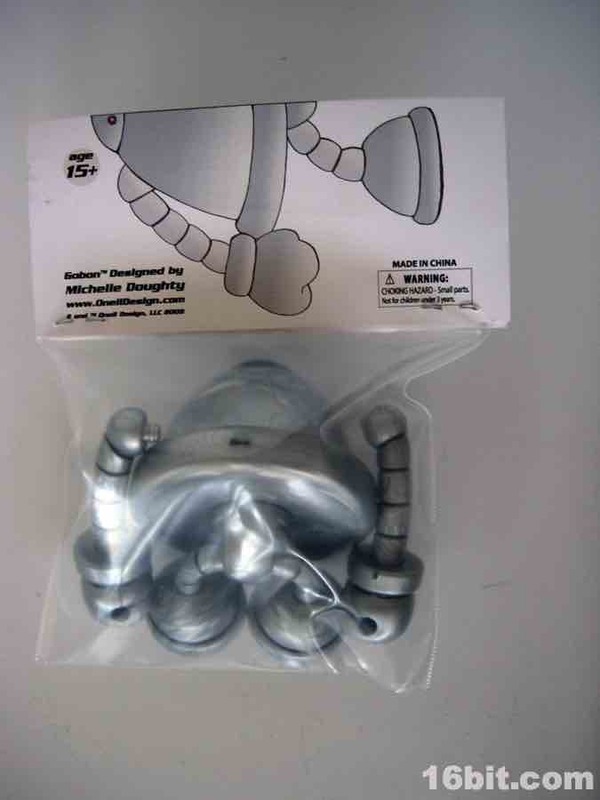 There are 13 parts which make up this figure, and they're all swappable with other Glyos-compatible toys. (See: Outer Space Men, Pheyden, Beantown, etc.) 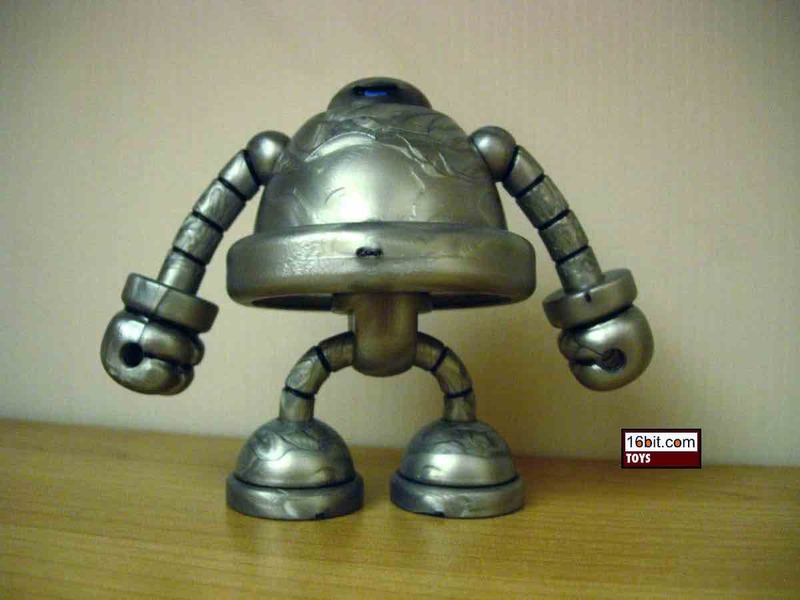 The hands come off, the head comes off, and you can make some weird customized creations or just enjoy what they made. The deco is limited, with some blue for the eyes in the front and the eye/window on the back of the head and some black to highlight various panels and grooves. 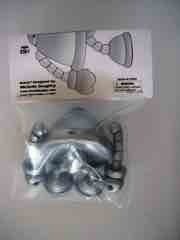 The silver body is soft, which is great considering this style of plastic is usually known for being brittle. (Contact me in 2020 to see how he's holding up.) As it is, he's just a neat little toy that is one of those things you see and it makes you mad that you can't just buy these at the Target. The designers list Micronauts as an influence, but this really feels like a product of the 1980s. 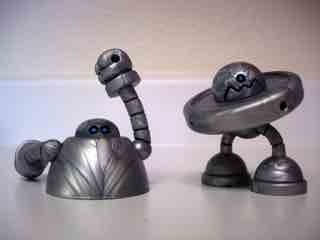 Your Battle Beasts would love to fight these guys. 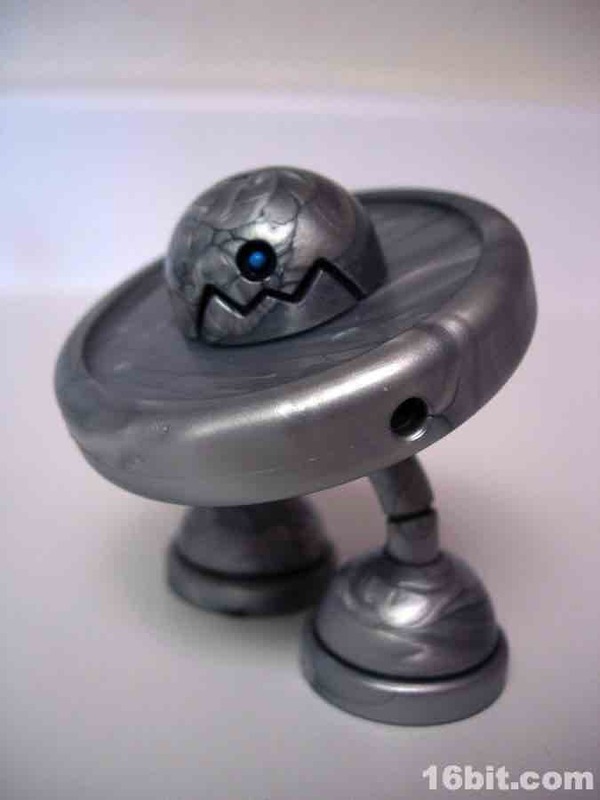 This is the kind of toy you need to give as gifts, because odds are your friends won't know these exist and they'd likely very much like them. 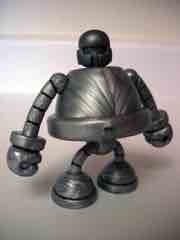 If you like the look, you'll like the figure-- it holds together nicely and doesn't disappoint. Did I mention how well he stands up with his little legs? I did? Well, I mentioned it twice. Update: We have been pointed out to the fact that the figure has a bonus feature! He splits at the waist to reveal storage with an alternate head. Clever!